Underground station construction. 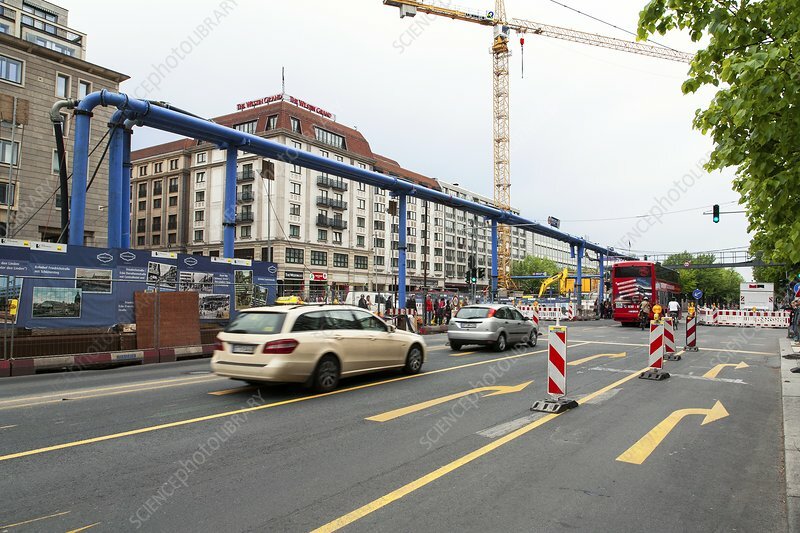 Large construction pipes and traffic on a city road during construction of an underground train station. The train station being built here is the new Unter den Linden station for the U-Bahn network in Berlin, Germany. This station is located at the junction of the streets Friedrichstrasse and Unter den Linden. Photographed in April 2014.